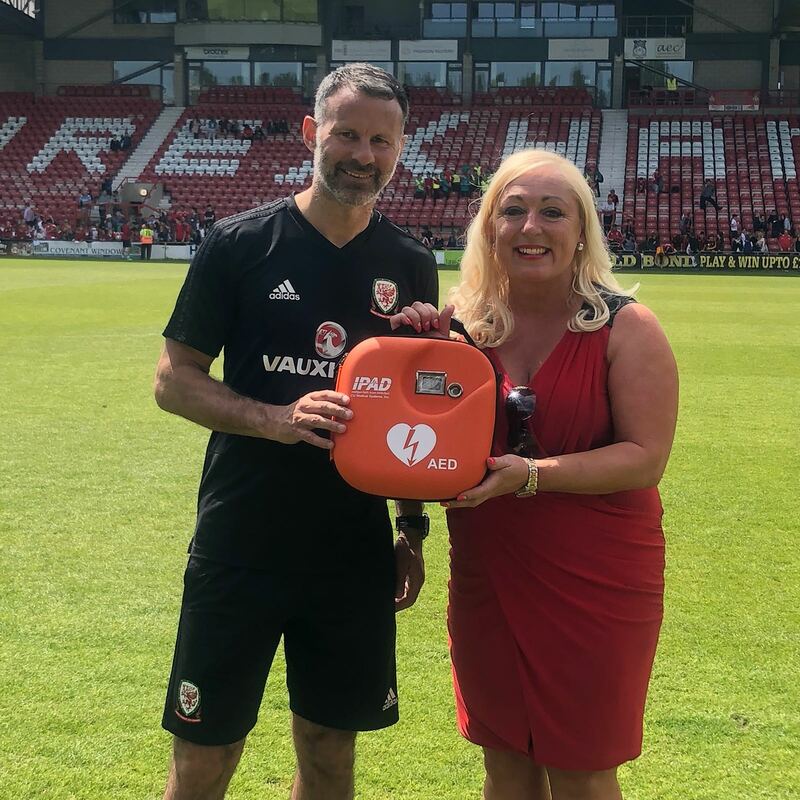 Recently at Wales’ National team open training session in Wrexham, The Football Association of Wales announced their partnership with Welsh Hearts/Calonnau Cymru with Ryan Giggs at the helm. 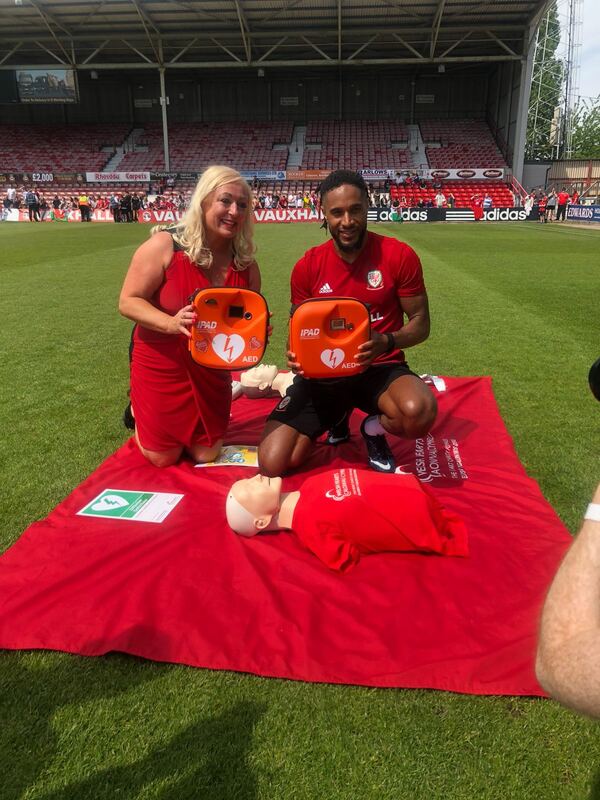 The long-term aim of the partnership is to deliver lifesaving defibrillators, equipment and training to all football clubs in Wales. 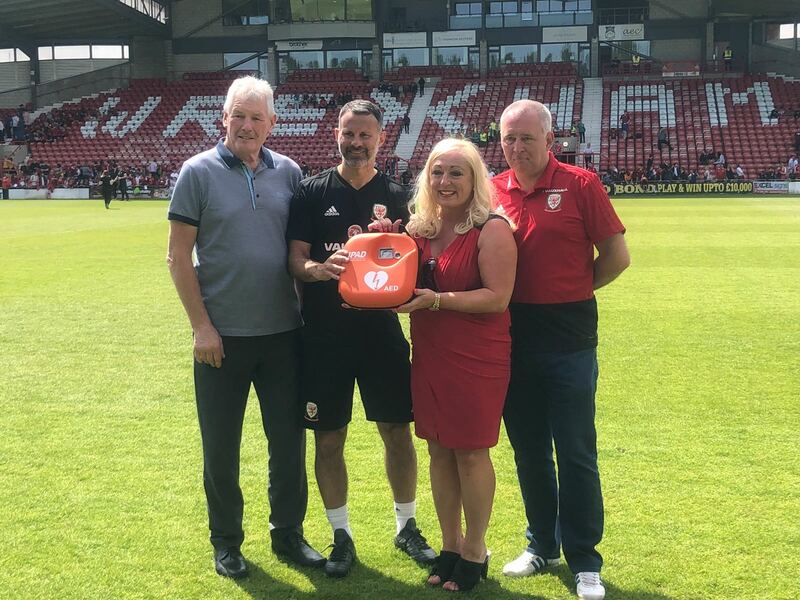 Wrexham based Penycae Football Club were present at the training session to be the first recipients of the FAW, Welsh Hearts defibrillators to be fitted at their ground.